Earlier this year, StoryWeaver conducted a Bengali Translation Hackathon with a group of enthusiastic teachers and language students. The hackathon saw over 70 level 1 and 2 stories translated to Bengali and reviewed. 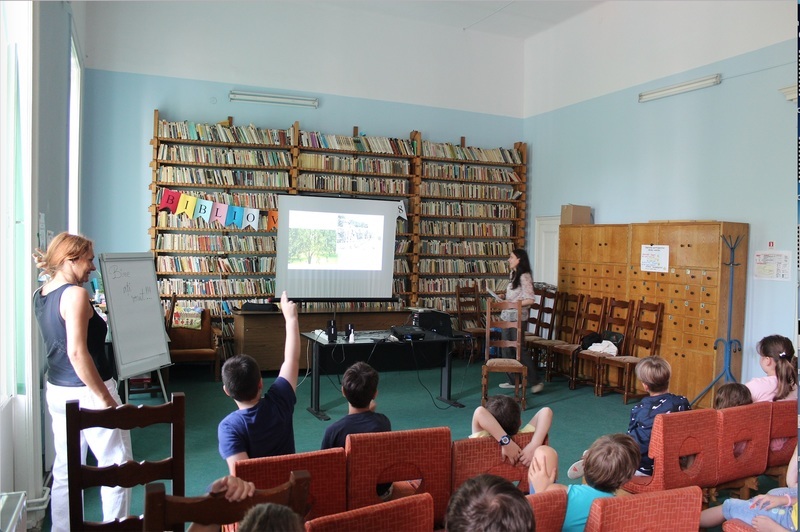 The participants were excited by the possibilities the StoryWeaver platform afforded and left the hackathon with many ideas on how they could use it in their work with children. Participants, Anupam Dam and Suman Das, was particularly excited by StoryWeaver, and wanted to introduce it to students and also to teachers. He wrote back to us soon after the hackathon with the idea of conducting a StoryWeaver workshop for some of the teachers in his school. Anupam is a a government aided school teacher and is keen to provide his students with the best possible facilities and resources. 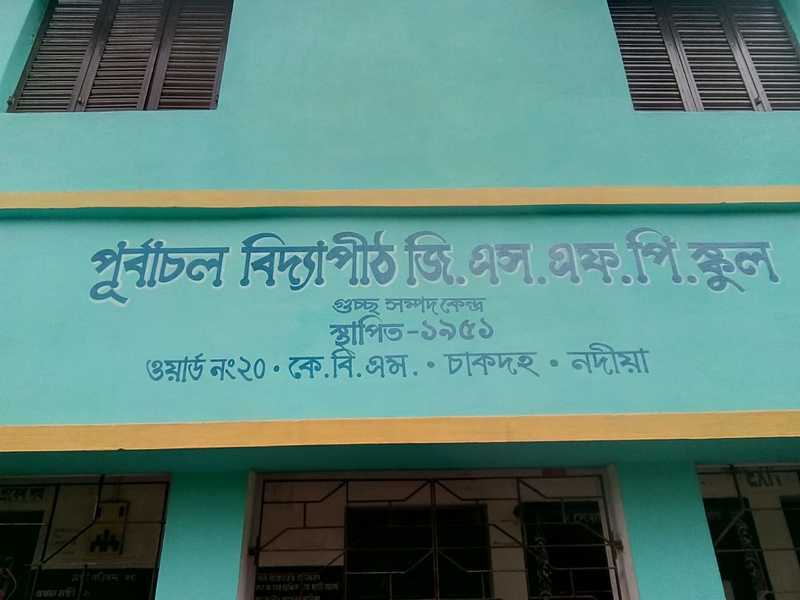 Suman Das is a Head Master Of Chalitatali Prathamik Vidyalaya of Nadia District. Team StoryWeaver had shared a suggested schedule for the workshop. “This helped the workshop go as planned, from the introduction stage to final publishing of stories.” recalls Suman. The workshop facilitators were pleased to notice that participants willingly involved themselves in the workshop and performed the tasks asked of them flawlessly. They had very few queries, and the most frequently asked question was "Is it possible to edit already published stories?" “My colleagues were engaged throughout the workshop and enjoyed it the most when the saw their stories published on the StoryWeaver platform, ” added Suman. Sudeshna Moitra, our Bengali Consultant Language Editor, was an observer at the workshop and had this to say about the experience: “Yesterday’s workshop was very enriching for me. All the fellow teachers were quick to grasp the concept and participated equally and intelligently. Their enthusiasm to learn and know more made the workshop quite fulfilling. Had a great experience from my side as well. I enjoyed the opportunity to interact with a group of interesting minds and hope to do similar workshops more. It feels great to conduct such workshops and the feedback from them was wonderful. Hope I have managed to contribute something meaningful to them through the workshop. The workshop ended with teachers discussing ways in which they could use StoryWeaver in the classroom environment and sharing their takeaways from the session. Some of them were happy to have learned a new way to share stories with students and planned to ‘create stories based on school syllabus’ while others were happy to have the opportunity to create and translate stories in their mother tongue. We look forward to seeing more teachers conducting StoryWeaver workshops in their schools. If you’re interested in introducing StoryWeaver to your peers and in your classrooms, write to us at storyweaver@prathambooks.org today. 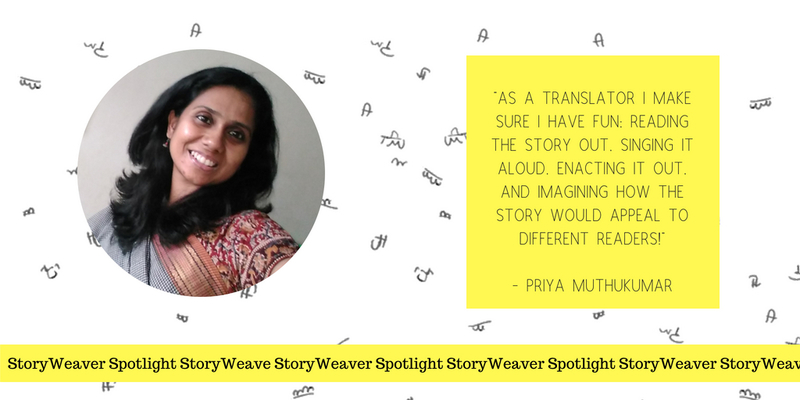 StoryWeaver Spotlight turns the light on Priya Muthukumar. Priya always dreamt of flying on her very own magic carpet! Yes, today she flies to several distant lands along with different people through her stories. Priya is a storyteller and educationist who connects with people across age-groups through her storytelling initiative (Storipur in Bangalore). She continues to dream, this time.. about a greener tomorrow! 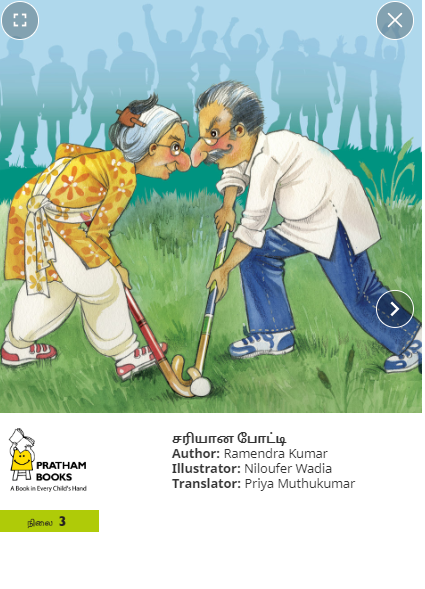 She has translated many stories to Tamil for Pratham Books including 'Goodnight Tinku' and 'What Did Priya Eat'. You can read her stories The Louse's New House and A Perfect Match on StoryWeaver. Q: What is your personal relationship with language and/or translation? I strongly believe that languages bring people together. Even though I am not a quick learner when it comes to different languages, I can really pause and admire the beauty in languages. As a translator, I make sure I have fun, reading the story out, singing it aloud, enacting it out...imagining how the story would appeal to different readers! Q: When you have been given a story to translate what is the process , how long does it take ? There is no strict process or pattern that I follow. Generally, when I receive a story, I read it a couple of times in an attempt to grasp the essence of the story. As I work with children, I narrate the story to them and I get thrilled, seeing their immediate reaction. After all these immersive experiences, I start my translation, keeping the emotions which the author had tried to express through the story. And I am a complete last-minute-person! I just can't start the task before the nth minute. Q: What do stories bring through translation? As a strong believer in the power of stories, I believe that we all need to read, tell and listen to more stories. The whole process becomes even more beautiful, when we use different languages. It could be foreign languages, regional languages or it could one's own mother tongue. Languages are windows to another culture. And through translation, stories and languages subconsciously take the reader to another world where things are similar yet, are different ! Well, this is something which I am learning, book by book. As a translator, I am very much on the learning curve. Being a Tamizh translator, reading Tamizh newspapers and books (translated and original ones) also help me. My conversations with my father in Tamizh on history, archaeology,literature, politics, almost everything under the sky also enables me to hone my skills. Q: Does being a storyteller help your translation process? Emotions, however subtly expressed are the 'pulse' of stories, according to me. This is a valuable lesson which I've learnt from my storytelling experiences, so far. Hence, I make sure while translating, to convey the same emotion into my work from the original story. Intonation/ voice modulation are essential aspects of storytelling, hence stories with varying 'sounds' delight me. I make sure that these sounds are more 'realistic' in the translated versions. Besides, once I translate, I read it aloud or narrate the story to different groups of listeners, to check if my translation has kept the original essence alive. Q: What was the experience of translating a children's book like? My first translation was for 'The Missing Bat'. I found it challenging and I remember calling up my father, asking people, cross-checking if my Tamizh equivalents for the English words were right. After working on few translations, now, I feel more confident and I am keen on learning the nitty-gritties involved in translating and also writing for chilldren. Q: What is the toughest thing about translating from English to TAMIL? How do you navigate through words or phrases to translate? Some words are unique to certain languages. The English language is no exception. To find exact equivalents for certain words has been challenging. In such cases, finding a word in translation close to the original is one of the options. Sarcastic overtones, jokes while translating need that extra attention. Pronunciation of names is also something I check before translating. Q: How do you feel when your translation reaches a child? Q: How else do you think we can join hands to take more stories to more children in more languages ? Simply by continuing to do the good work which Pratham Books and StoryWeaver is already doing. Probably, we could add more stories from History and mythology too. Q: What type of person do you think makes a good translator for children's books? Besides the language skills, as in any field of work, a willingness to learn and an open-mindedness would help. And anyone who has the spark, the sense-of-wonder children are born with, can always work magic with children's literature including translation! Q: Do you have any advice for anyone who would like to become a translator? Hmm...continue to be passionate! Read more, listen more and write more. Amelia Bonea is a Research Fellow at the University of Heidelberg and author of the book The News of Empire: Telegraphy, Journalism, and the Politics of Reporting in Colonial India, c.1830-1900 (New Delhi: Oxford University Press, 2016). Originally from Romania, she has lived and worked in Japan, Australia, Germany and the United Kingdom. When not engaged in academic research, she likes to read and translate children’s literature, most recently on StoryWeaver. When your surroundings only speak what you can’t speak, you listen to the language along with the whole region. And if you stay long enough the time in the region learns the language for you. In her Prague speech, Müller confesses that she ‘wouldn’t dare to translate, although [she is] fluent in Romanian’. But for me, Herta Müller is, despite her statement to the contrary, exactly that: a translator of words, languages, emotions, experiences, histories. I don’t think she can escape that predicament: it is inseparable from the experience of learning a new language. Learning a new language isan exercise in learning to translate. Learning to live in a different country, under a different political regime, like Müller did, is also an exercise in learning to translate. Müller’s speech made me think that translation is rarely a solitary experience. That ‘space between languages’ she so eloquently describes is often populated with people who help us navigate our way between words and worlds. Perhaps unsurprisingly, they tend to be the same people who help us navigate our way through life. I was reminded of this in the course of conversations with the translators who helped my own story to find a voice in other tongues. Last year, when I was still working for the ‘Diseases of Modern Life’ project at the University of Oxford, I collaborated with the StoryWeaver team to publish a small illustrated book about the history of telegraphy. It was an attempt of sorts to translatemy academic research into a register that would appeal to an audience we often forget to engage: children. 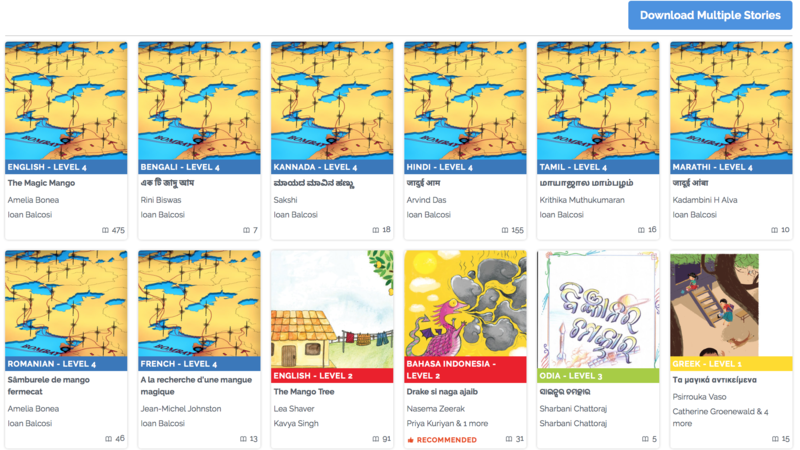 The Magic Mango is now available in five Indian languages - Bengali, Hindi, Kannada, Marathi and Tamil - in addition to English, French and Romanian. It was recently read at a popular event at the local library in my hometown in which children aged 6-12 also learned to translate their messages into the sparse language of the Morse Code. I asked my fellow translators to share some of their experiences of translation with me. As I was reading through their responses, I realized there was a common thread that ran through them. They all spoke about translation as a string of conversations: with themselves, with others, with the past, even with technology. A string of conversations whose aim was to produce a text that would ‘sound well’ in the target language, while also remaining faithful to the English original. Arvind Das, who worked on the Hindi translation, read the story aloud to his daughter and used her reactions as a guide. As a journalist who works in English and Hindi, Arvind is a seasoned translator. One of his main concerns was to find age-appropriate and culturally sensitive language to match the technical vocabulary of telegraphy. This included words like ‘message’, ‘clerk’, ‘engineer’, etc., which, he felt, children nowadays were more likely to use in English rather than their Hindi equivalents (‘sandeśa’, ‘kirānī’ or ‘abhiyantā’). Jean-Michel Johnston’s translation into French also drew on conversations with members of his family - in this case, his mother - but in the end he settled for a different conclusion, namely that the latest linguistic fashion might not necessarily be the most aesthetically pleasing one. Jean-Michel’s discussions with his mother revolved around the choice of vocabulary and tenses: should the story be translated into the ‘passé simple’, the tense of his own childhood’s stories and indeed, how he had been taught to write in school, or should it be written in the ‘passé composé’ which, his mother argued, is being increasingly used nowadays, in an attempt to simplify the language? In the end, it was the former option that won this linguistic battle. Why? Because the ‘passé composé’, said Jean-Michel, made ‘everything sound so jilted, bitty, stunted and … difficult to alternate in the chronology/timeline of the story’. The old - this time in the guise of technology - was also present in Sakshi’s account, who translated the story into Kannada. Once she was done, she tried to type it out, only to find ‘that neither of the two dominant Kannada softwares currently used can be installed on Mac’. She ended up using one of the online platforms available, gradually teaching herself to type in a language in which she was only used to writing. Sakshi’s other concern was about translating place. The original story is set in Bombay/Mumbai, but ‘the language [she] was using for the description of mangoes, the communication between the child and the clerk, and a few other minor details made [her] feel as if they were located in a smaller town’. As she put it, ‘It [was] more to do with processing the narration within my head in the presence of my native language, which made me “see” the story in a different place’. Finally, Krithika Muthukumaran’s account of translating the story into Tamil suggests that translation can also mediate a different type of encounter with the past, one that has potentially therapeutic effects. In her case, it was her grandmother who helped her navigate the space between languages by scrupulously checking and commenting on each of her paragraphs. As Krithika wrote, ‘[Grandmother] said it made her feel young, helped her exercise her mind…’. And the best bit of all? It seems that her grandmother is set on continuing her translation career with StoryWeaver. Perhaps the lesson to take home from all this is that translation is emotional labour. Perhaps Herta Müller is right when she says that, for her, ‘the criterion of a text’s quality has always been: does it bring about a silent disconnection in the head. Every good sentence flows to a place in the head where what it triggers speaks in something other than words’. As translators, we pull words apart and then we try to rearrange them again to recover that ‘disconnection’ for a different audience. Undoubtedly, some things get lost in this process. But a good many others are gained.